Discussing Louisiana’s coast, its people, wildlife and jobs, and why restoring it matters. As Louisiana's Coastal Protection and Restoration Authority (CPRA) advances its draft 2017 Coastal Master Plan, the next few months will be critical in the fight to restore Louisiana’s coast. To keep you engaged and informed, we will bring you discussions on important aspects of coastal restoration, the latest coastal news and events, interviews with relevant experts, business and community leaders, and more. On today’s show Simone & Jacques talk with Rob Moreau, Manager of Turtle Cove Environmental Research Station, Southeastern Louisiana University about Turtle Cove, their programs and why the Manchac Swamp & Maurepas landbridge are so important. Brady Skaggs, Water Quality Program Director, LPBF also joins the program to talk with Jacques & Simone about why so many people in New Orleans were affected by the recent stint of cold weather, what everyone needs to do to better live with water & make ourselves more resilient, green infrastructure and more! On today’s show Blake Haney, Creator/Owner of Dirty Coast & Creative Director at Locally.com joins the show to talk with Jacques & Simone about all the innovative designs and great messages Dirty Coast has with their products. On the second half the show, Jonathan Foret, Executive Director, South Louisiana Wetlands Discovery Center stops by to talk with Simone & Jacques about his background, the South Louisiana Wetlands Discovery Center, funds and awareness at all of their events being centered on coastal literacy & environmental education, the Youth Wetlands Summit and more! On today’s show, Jacques Hebert talks with Rudy Simoneaux, Project Manager, CPRA about The Center for River Studies and the Coastal Connections meetings. Clint Willson, Professor in LSU Dept. of Civil & Environmental Engineering, Director of LSU Center for River Studies joins the show to talk with Jacques about LSU having class and office spaces at the center for river studies, prior models and how this one is different, what advice he would give to students interested in a career in coastal space and more! On today’s show Jason Lanclos, Deputy Executive Director, CPRA joins the show to talk with Jacques & Simone about the Annual Plan's role in Louisiana's coastal restoration. On the second half the show, Cynthia Duet, Deputy Director, Audubon Louisiana stops by to her role with Audubon, her experience in state government and the Annual Plan. On today’s show Steve Cochran, Campaign Director of Restore the Mississippi River Delta joins the program to talk with Simone and Jacques about his Op Ed to start the new year, why financing is important to funding our coastal plan and more. 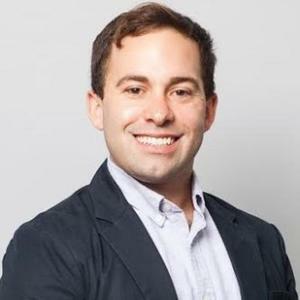 Jimmy Frederick from the Coalition to Restore the Coastal Louisiana joins the program to talk with Jacques and Simone about the upcoming events planned for the CRCL, interviewing Louisiana Congressman, Garret Graves and the state of the coast. On today’s show Simone & Jacques celebrate the end of the year by talking with past guests and look back at the success of the Louisiana Coastal Restoration Plan in 2017 and what’s ahead in 2018. Welcome to Delta Dispatches with hosts, Simone Maloz & Jacques Hebert. On today’s show Justin Ehrenwerth, President & CEO of the Water Institute of the Gulf joins the program to talk with Jacques about the Restore Council, the opportunities that exist in Louisiana & across the Gulf to advance coastal restoration and his new vision for the Water Institute. Katie Percy, Avian Biologist from Audobon Louisiana stops by to talk with Jacques about The Christmas Bird Count and where people can go to learn more & participate in the CBC. On today’s show Devyani Kar, Coastal Projects & Programs Manager at Environmental Defense Fund joins the show to talk with Jacques & Simone about The Whiskey Island Project and what’s in store for the Louisiana Coast in the next 5 years. Shannon Cunniff, Director of Coastal Resilience, EDF stops by to talk with Simone & Jacques about the meeting CPRA will be holding on December 13th, outcome-based performance contracts, pay for performance contracts and more! 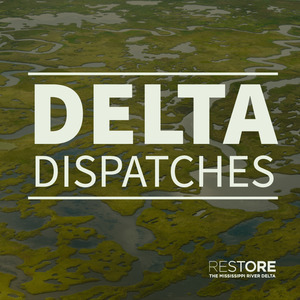 On today’s show Simone & Jacques are talking about the new report from Restore the Mississippi River Delta "Recommendations for Coastal Restoration Projects and Programs in Louisiana." To highlight some of the projects, they are joined by Alisha Renfro, Coastal Scientist at National Wildlife Federation and Erik Johnson, Director of The Bird Conservation at Audubon Louisiana. On today’s show John Lane and Jerry Graves from the St. Bernard Parish Coastal Division join Jacques and Simone to talk about the progress on the rebuilding and coastal front, particularly since Hurricane Katrina in St. Bernard Parish, The Biloxi Marsh Oyster Reef restoration, the Chandeleur Islands & the efforts to restore these islands, their event "Cook-Off for the Coast" on November 18th and much more! Welcome to Delta Dispatches with hosts Jacques Hebert & Simone Maloz. On today’s show Brad Miller, Project Manager with the Louisiana Coastal Protection and Restoration Authority joins Jacques and Simone to talk about the Maurepas freshwater diversion project and and other coastal restoration projects he’s helping to coordinate across the state. The second guest on today's show is Rebecca Triche, Executive Director, Louisiana Wildlife Federation, who's here to talk about the great work the Louisiana Wildlife Federation is doing, the changes of the Maurepas swamp over the past few years & why this project is important and the CAMO Coalition. Welcome to Delta Dispatches with hosts, Jacques Hebert & Simone Maloz. On today's special episode, Jacques hosts a panel discussion with the filmmakers of Water/Ways. These four short films about communities facing land loss along Louisiana's imperiled coast. On today’s show Simone & Jacques sit down to talk with Brian Boyles, Christopher Robert and John Richie from The Louisiana Endowment for the Humanities. They talk about their new documentary series Water/Ways premiering next week and their other exciting projects that are coming up. Be sure to join them on Wednesday, October 18th from 8:30 – 9:30 pm at The New Orleans Advocate at 840 St. Charles Ave for the world premiere of 4 short films about communities facing land loss along Louisiana’s imperiled coast. 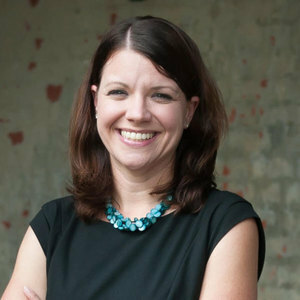 On today’s show Shannon Cunniff, the Director of Coastal Resilience at the Environment Defense Fund joins the program to talk with Jacques & Simone about environmental impact bonds (EIBs), and how they can save Louisiana money and restore the wetlands sooner. On the second half the episode, Megan Terrell, the Legal Advisor for Coastal Activities at the Governor’s Office of Coastal Activities brings a new perspective to talk about EIBs and other coastal restoration financing opportunities. On today’s show Chris Macaluso, Director of the Center for Marine Fisheries, Theodore Roosevelt Conservation Partnership joins the program to talk with Jacques & Simone about what they do and how the Mississippi River helps create Louisiana's unique habitats and fisheries. Erik Johnson, Director of The Bird Conservation at Audubon Louisiana stops by to talk with Jacques & Simone about what birds can be found along Louisiana’s coast, Audubon’s Plants for Birds Program, the Christmas Bird Count and more! On today’s show Dr. Theryn Henkel of the Lake Pontchartrain Basin Foundation and Dr. Deb Abibou of CRCL join the program to talk about how people can get involved restoring the coast. From tree plantings to oyster shell recycling programs, here's how you can get get dirty and get to work restoring the coast.